The judicial articulation in understanding secularism needs re-imagination. A month back, Prime Minister Narendra Modi thundered in Uttarakhand that he had volunteered to rebuild the Kedarnath Shrine when he was the chief minister of Gujarat after the 2013 flash floods, but was stopped by the Congress (UPA) government which was in power then. He expressed great remorse at being denied the opportunity to reconstruct the shrine. Now sample this: Over two months ago, the Supreme Court decided in favour of the Gujarat government (Gujarat versus IRCG case) and struck down the Gujarat High Court’s order directing the state government to repair or rebuild the 535 Muslim shrines damaged or destroyed during the 2002 communal violence in the state, and compensate those which have already been repaired or rebuilt. Curiously, the bench decided that using tax proceeds to rebuild shrines was not allowed and fixed a ceiling limit of Rs 50,000 for each shrine. The irony in Prime Minister Narendra Modi publicly vowing to rebuild Hindu shrines while the Gujarat government is fighting tooth and nail (in the high court and then in apex court) not to rebuild Muslim shrines destoyed during the Gujarat riots is for everyone to see. During Diwali this year, Uttar Pradesh chief minister Yogi Adityanath became the head priest and diverted the state machinery and finances to celebrate Diwali in Ayodhya even as the BJP defended this as personal faith (of an individual). But when it comes to compensation to minority religious shrines, the matter suddenly crosses the "lakshman rekha" of secularism. This emphasis on Jeffersonian "separation of state and church" is governance in the backdrop of Hindutva, mainstreamed by the rise of the BJP. However, it was the apex court in the Ramesh Yashwant Prabhoo versus Shri Prabhakar Kashinath Kunte and Others case in 1995, that made Hindutva compatible with Indian secularism by describing Hindutva as a "way of life" and not a religion. A contextual application of "formal secularism" in this case - oblivious to Hindutva’s aim of assimilating minority sub-cultural groups into the majoritarian fold, in effect defeats secularism. To begin with, in this case, the IRCG (Islamic Relief Committee Group, an NGO) had moved the Gujarat High Court demanding compensation for religious shrines destroyed during the Gujarat riots – 567 religious places - contending that Right to Equality, Right to Freedom of Religion and Right to Dignity of Muslims have been infringed upon. The Gujarat HC applying the principle of constitutional tort asked the state to rebuild the shrines (mostly Muslims shrines) destroyed during Gujarat riots. The principle of constitutional tort applies in a situation when individual or groups are compensated for violation of their fundamental rights. The Gujarat HC restricted constitutional tort to only Right to Life violations, but interpreted it broadly to cover instances of destruction of religious symbols of a minority community. However, the Supreme Court overturned the Gujarat HC findings to hold that diverting tax proceeds towards rebuilding shrines violates secularism and further, no compensation can be paid as there is no Right to Life violation. The court anchored its reasoning in a conception of secularism focussed on - separation of state from religion - to hold that reconstructing Muslim shrines violates the principle. 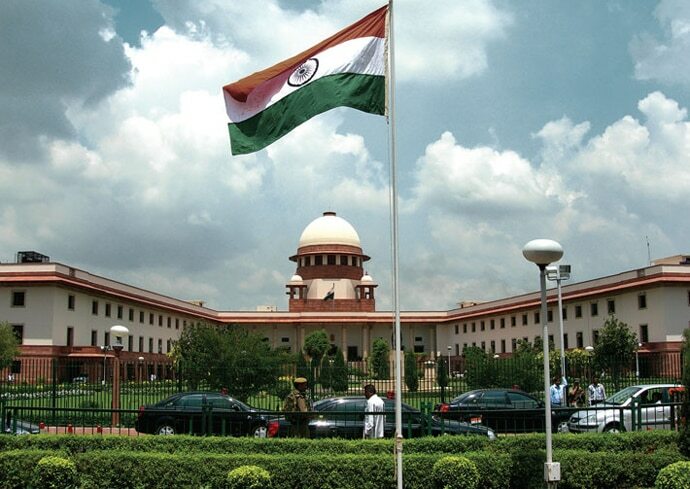 The bench observed that the “object of Article 27 is to maintain secularism and the article would be violated if a substantial part of the entire income tax collected in India were to be utilised for promotion or maintenance of any particular religion or religious denomination". This interpretation though is wrong on three counts: First, according to Article 27, the state can't use tax proceeds for maintenance or promotion of a particular religion. How does rebuilding shrines that were destroyed due to state’s negligence (or culpability) amount to “promotion of religion”? And, how does the demand to rebuild all religious places, where just incidentally 545 of 567 happened to be Islamic shrines, amount to using tax towards "a particular religion"? Second, if non-usage of tax is a core principle, then what allows judicial "rationing" by only proscribing substantial tax diversion towards religion. Third, the court displayed constitutional amnesia in not accounting for Article 290A of the Constitution itself says that "a sum of Rs 46,50,000 shall be charged on, and paid out of, the Consolidated Fund of the State of Kerala every year to the Travancore Devaswom Board"; or state governments appointing maulvis; or the state subsiding Haj travel or Amarnath yatra for pilgrims. How is the principle of non-usage of tax towards "promotion" not violated in the above instances? By applying strict "separation of religion from state or equidistance principle" as a facet without referring to "Sarva Dharma Sambhava" (freedom of religion for all groups) and "Dharma Nirpeksheta" (equal protection to persons of all religions) as necessary limbs in the Indian context, it got the concept of secularism wrong. Reading Article 27 - strict separation principle - divorced from Article 25 - which recognises equal right to practice different faiths and equal protection by the state is incorrect way of interpreting secularism. The Hindu Right (RSS, VHP, BJP in varying degrees) ideology is compatible with "formal secularism" - espousing strict separation or equidistance from all religions, because in multi-religious polity of India, the Hindu practices dominate by being the default norm. This leads to assimilation of sub-cultural groups while the court remains a "bystander" in defence of "formal secularism". The Hindu right under the canopy of Hindutva swears by this formal secularism as it furthers their assimilation project under the garb of a constitutional principle. This case reveals two troubling strands in judicial psychology - first, seeing religious freedom as a passive value that has to be tolerated and not celebrated. Secularism is often defined in terms of state being "tolerant" towards different faiths and credos. It is seen as a passive, prosthetic limb which doesn’t add strength to constitutionalism, but has to be tolerated owing to the reality of multi-religious nationhood. There is an inability to see it flowing from antecedent values of equality, which in turn draws from promises of constitutional citizenship. Second, of sanctifying public space of religion, is the consequence of viewing secularism passively - where any interplay of religion in public sphere is seen as a dangerous force to Indian constitutionalism. This sanctifying approach is evident in judicial responses - restricting religious freedom to "essential religious" practice through the controversial Essential Religious Practices doctrine, over-emphasising on separation of state from religion (present instance), or criminalising religious appeals in elections. The judicial articulation in understanding secularism needs re-imagination. We should not see secularism as a singular value in abstraction, but flowing from antecedent values of "equality" and "constitutional citizenship". Secularism is to be embedded as a natural limb of "equality" flowing from adopting a constitutional citizenship, which treats all citizens as equal irrespective of their ascriptive identities. Even if religious freedom or secularism is omitted from the Preamble, it will remain a bedrock value as it flows from equality. In this case, a call to substantive secularism would mean recognising that the destruction of shrines of any group violates their dignity and does warrant a state obligation under Article 21 to compensate them. The lasting implications of this judgment are likely to manifest in future interpretations of secularism in India. The Supreme Court through its advocating for a strict, Jeffersonian separation of "church and state" has rendered the position of secularism antithetical to its culturally diverse foundation. The court cannot hope to secure secularism among myriad religious communities, if it offers blanket uniformity in treatment. This would at best, portray the court as a bystander or a partisan institution siding with Hindutva. Also read: How has Uttarakhand fared four years after devastating floods? Satya Prasoon is with the Centre for Law and Policy Research, Bengaluru, where he is associated with Supreme Court Observer Project (scobserver.clpr.org.in). He tweets at @SatyaPrasoon.